We recently moved house and many people thought it odd that the only item we needed to measure up for, to make sure there was room. It was the trampoline. It is a fairly large trampoline and we bought it when my eldest son turned one. It’s been a brilliant investment. 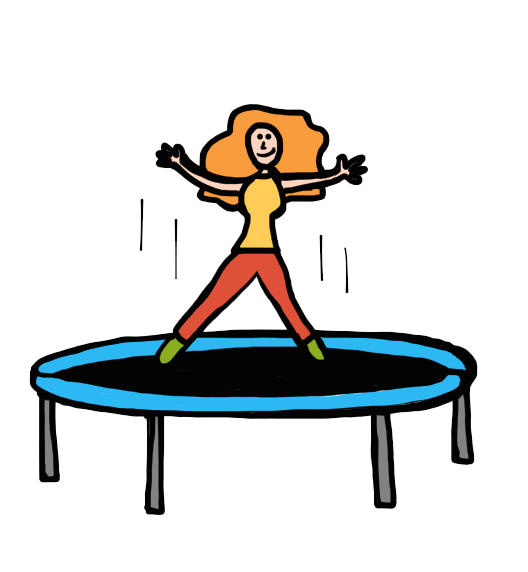 Yet many women, whether they’ve had children or not, reply to the question of bouncing on the trampoline with the same look of horror. You can see on their face that they are worried about… leakage! There I’ve said it: leakage – urine leakage. It is something of a taboo subject that people, especially ladies, do not like to talk about – let alone admit to but it is extremely common, even among the younger population. Leakage can occur during the later stages of pregnancy and following the birth of your little one. It can also persist for many years postpartum if no help is sought. Envision your pelvic floor as a sling. Or, better yet, like a wicker basket (or dome) of muscles that hangs underneath your pelvis. It effectively holds the weight of the organs above it. 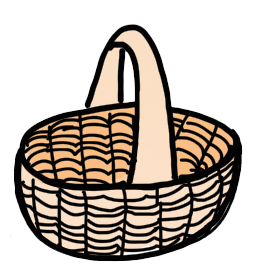 If you imagine your pelvic floor as a wicker basket, the rim and firm frame of that basket would be your pelvis (i.e. the bone). This would be providing a solid framework to create your basket from. Your pelvic floor would then be the wicker fronds, interlocking and weaving from one side of the framework, or pelvis, to the other, to form a strong basket. To continue with the basket analogy, imagine now that you’re adding your shopping into this basket. Your bladder, intestines and, in females, the uterus would be resting in it. The weight of an empty bowel (large intestine) alone can typically be 3-4 lbs! That’s the equivalent of adding 3-4 bags of sugar to your shopping basket. This does not include the weight of anything inside your bladder or bowel, let alone the increased weight of your growing uterus, placenta and, of course, your little (or big!) baby. Hopefully this analogy helps you see just what an important job your pelvic floor performs to literally stop everything from falling off the bottom of your shopping basket. You can then also see the value in performing those pelvic floor exercises your midwife, gynaecological consultant and/or trainer keeps prattling on about. If you are still unconvinced of the value in performing pelvic floor exercises, how about the fact that keeping good function through these muscles and associated tissues will help in childbirth and your recovery post-birth? But knowing that they’re important and knowing what to do are still two different things and it’s useful to know that the pelvic floor actually contains two types of muscle fibres – think of these almost like different strands of weaving in your wicker basket. Some of these fibres will contribute to the integrity of shape and stability of your basket – these are slow twitch fibres – the endurance muscles of the pelvic floor that work almost all the time to hold the weight of items in your shopping basket. If you’ve walked in a supermarket with a basket on your arm and casually dropped an item into the basket, you will have experienced a short pull down on your arm or hand as the weight hits the bottom of the basket. This happens in your pelvic floor too – each time you cough, sneeze, laugh loudly….or bounce on a trampoline. For these tasks, you need to recruit different fibres or strands in your wicker basket (and here, of course, I am referring to the pelvic floor). These are fast twitch fibres. These two types of fibres perform different jobs and therefore need to be exercised slightly differently too. It’s worth noting that pelvic floor exercises can be performed anywhere at all. No-one will ever know you are doing them (although in my classes I find people’s eyebrows are sometimes a give-away tell-tale sign of the effort required – I have a theory that the eyebrows are directly linked to the pelvic floor though this point is not scientifically proven, hehe). After reading this, you hopefully have a new found respect for your pelvic floor and are a little more inclined to do those pelvic floor exercises we are all so guilty of forgetting to do. For details on exercises to work the pelvic floor as well as tips on remembering to do them, stay tuned for Part 2. These issues may be due to reasons unrelated to a weak or tight pelvic floor and need to be properly assessed.